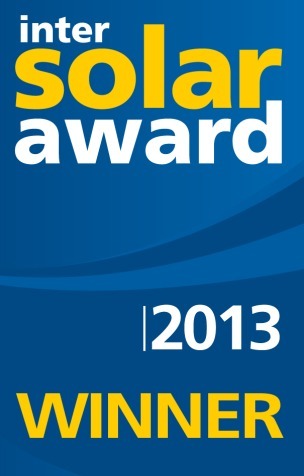 SAN JOSE, Calif., July 23, 2013 — Free Hot Water, a solar thermal engineering, procurement, and manufacturing company, has won the prestigious 2013 Intersolar North American Project Award for its 50-unit apartment building project in San Francisco. An expert panel of solar industry judges chose Free Hot Water for its innovative and cost effective design of a solar hydronic heating, hot water, and photovoltaic (PV) system that was shown to be cost competitive with a natural gas system. For the same price as a conventional gas system before any incentives, Free Hot Water’s 15th St solar thermal and PV project included solar water heating, solar hydronic radiant heating, and 95% efficient gas boilers as a back up system. A “smart” pump station, and a centralized mobile dashboard allows building managers to monitor and adjust all three energy systems from any laptop or mobile device. Additionally, a 4.5kW solar PV system offsets the building’s energy efficient lighting and the solar thermal’s pump station. As a result of Free Hot Water’s design, Jolish estimates that his building will save about 66% on his annual operating costs, and he is already working with Free Hot Water to design solar systems for his other buildings. “I would certainly urge other building owners to use solar thermal technologies for their renovation and new construction projects,” he said. For a more detailed case study on Free Hot Water’s 15th St. Solar Thermal & PV project, contact us at info@freehotwater.com. Free Hot Water, based in San Jose, California, specializes in commercial solar engineering and procurement. Our in-house engineering department works with builders and contractors in the design and retrofit stage of the project and procure the appropriate products for each specific application; solar water heating, electric, lighting, and heat recovery systems for industrial applications, apartment buildings, hotels, hospitals, laundry facilities, car washes, municipal and government applications. We pride ourselves on assessing the project, and designing a system that will optimize production while dramatically reducing energy bills. Free Hot Water’s extra-mile customer service can also include all documents necessary for permits and help to get you all applicable financial solar incentives.